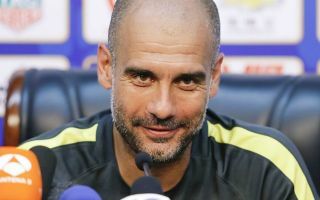 While he didn’t give away any names, Man City boss Pep Guardiola has revealed that they’re actively looking at long-term successors for Fernandinho. The Brazilian stalwart has already made 26 appearances so far this season, while he has made in excess of 40 outings in each of the five other campaigns he’s been at the Etihad. He has continued to play a fundamental role for Guardiola in his deeper midfield role, but eventually a long-term replacement will need to be found given Fernandinho turns 34 in May. It will undoubtedly be hugely difficult to find another player to replicate what he does for the team both from a defensive and offensive perspective, and so Guardiola has conceded that the reigning Premier League champions are sensibly considering possible transfer targets already. As seen in the clip below, the Spanish tactician didn’t give any names away but suggested that City are looking at ‘three or four’ players, and so naturally they will continue to monitor and analyse their targets with a view of finding the best possible successor to Fernandinho. It could be argued that he doesn’t get the credit that he deserves as he continues to go about his business with minimal fuss, and so perhaps bringing in a replacement sooner rather than later will allow Guardiola to make the transition more smoothly as his absence will be noticeable. Pep Guardiola has revealed @ManCity have identified potential defensive midfield targets who could eventually replace Fernandinho. ?